« Why Do Authors Sign Books? Two glasses of champagne later, I high-five the air as I trudge up the last flight of stairs to my apartment, the third floor of a restored old Mount Vernon Square brownstone flat of Beacon Hill. My live shot was a success, we have our ratings story, and we’re going to get an innocent person out of prison. Not bad for one day. A young woman sits in a jail cell at Framingham-MCI [the oldest women’s prison in the U.S.—these books aren’t just engaging but very educational] in Massachusetts convicted of killing her husband. Investigative reporter Charlotte “Charlie” McNally gets a tip that the Constitutional Justice Project [CJP] believes Dorinda Keeler Sweeney may be innocent and wants Charlotte to help on the case. This will mean huge ratings for Channel 3 and maybe another Emmy for the hard-working reporter. 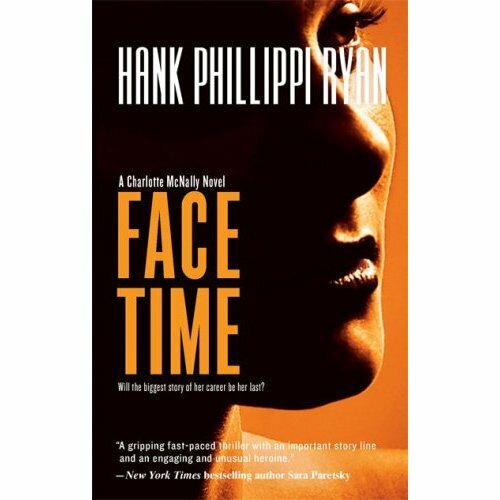 FACE TIME is the second Charlotte McNally novel and Phillippi Ryan falls into an easy-going groove with this one. The characters are becoming more developed and fascinating. Charlotte now has a boyfriend, prep school teacher Josh, who lives in Vermont [and she has to deal with becoming friendly with his 8-year-old daughter]. The best part is the little details that Phillippi Ryan adds. Charlotte might be a top notch reporter but she’s worried about losing her job to someone younger, she’s dealing with a mother who’s constantly telling her not to eat and to get face work done, and the pressure of constantly pulling in an Emmy-worthy story certainly adds stress to her life. But she has great friends and takes it in stride. The title FACE TIME has a dual meaning: her mom is in the hospital recovering from a face lift and Charlotte struggles each day for that bigger, better story than every other news station and newspaper in Boston gets. She has to be first. What seems like a slam dunk turns out to be a huge challenge for Charlotte and her sidekick producer Franklin. No one wants the truth to come out. There have been cover ups that could cost political positions and if Dorinda were to be set free, someone else has to pay for the crime. But who? During the investigation, Charlotte gets attacked, verbally threatened, and the station comes under fire. But nothing will deter Charlotte from uncovering the truth once she’s started to put some of the pieces together and these pieces really make an absorbing picture. One that will be complicated for the community. FACE TIME provides the reader with a whodunit supreme with everyone under suspicion from the daughter of the accused to the involvement of a politician to an ex-boyfriend. Charlotte grows on you and makes a compelling and often funny [“my hair looks the same on both sides”] crime solver. She’s independent, strong and fierce. Phillippi Ryan keeps the reader flipping pages and asking questions right up to the end. FACE TIME is a thrill to read. note of apology to the Emmy-award winning investigative reporter Hank Phillippi Ryan: Sorry I even questioned the accuracy of ANY piece of information you would put into one of your books. Of course you’d be right and I’d be wrong. JOUR 101 reminder for me, look it up and THEN email the author. I was born in Concord, Mass and have 04 social security. But you don’t have to get social security cards immediately and although we lived in tony Westport, Conn., my mother struggled to support us because I had a deadbeat dad who never could keep a job. She told me she couldn’t afford to get SS cards right off and probably mailed away at one time to get all three (for me, and my two brothers). She was born in Boston and has 01. I learned about my past as sad as it was. Full circle for me, I started off with nothing and have nothing now but a great education. How fitting. This entry was posted on January 8, 2010, 02:06 and is filed under Books. You can follow any responses to this entry through RSS 2.0. Both comments and pings are currently closed.